Discourse analysis considers how language, both spoken and written, enacts social and cultural perspectives and identities. 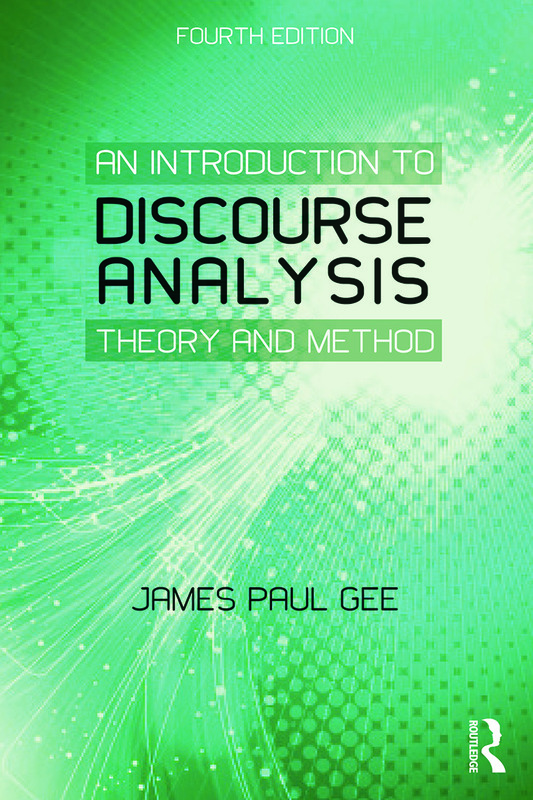 Assuming no prior knowledge of linguistics, An Introduction to Discourse Analysis examines the field and presents James Paul Gee’s unique integrated approach which incorporates both a theory of language-in-use and a method of research. An Introduction to Discourse Analysis can be used as a stand-alone textbook or ideally used in conjunction with the practical companion title How to do Discourse Analysis: A Toolkit. Together they provide the complete resource for students studying discourse analysis. Updated throughout, the fourth edition of this seminal textbook also includes two new chapters: ‘What is Discourse?’ to further understanding of the topic, as well as a new concluding section. A new companion website www.routledge.com/cw/gee features a frequently asked questions section, additional tasks to support understanding, a glossary and free access to journal articles by James Paul Gee. Clearly structured and written in a highly accessible style, An Introduction to Discourse Analysis includes perspectives from a variety of approaches and disciplines, including applied linguistics, education, psychology, anthropology and communication to help students and scholars from a range of backgrounds to formulate their own views on discourse and engage in their own discourse analysis. This is an essential textbook for all advanced undergraduate and postgraduate students of discourse analysis. James Paul Gee is Mary Lou Fulton Presidential Professor of Literacy Studies at Arizona State University, USA. He is author of a number of books, including How to Do Discourse Analysis, second edition, Language and Learning in the Digital Age and is co-editor of The Routledge Handbook of Discourse Analysis.